Rose hips are widely used by folk medicine for centuries. Different countries are used to treat a variety of diseases. In China - as a means of normalizing digestion and against worms. In Tibet, for neurasthenia, atherosclerosis, kidney disease. In Russia, for kidney stones, liver disease, ulcers, gastritis and colitis. In traditional Bulgarian medical Rosehips are used as a source of vitamins, increase immune system, especially in late autumn, winter and early spring. It is believed that wild rose is particularly useful for strengthening the heart and circulatory system. Because the content of pectin and tannins folk medicine used rosehip in gastrointestinal and bronchial diseases. 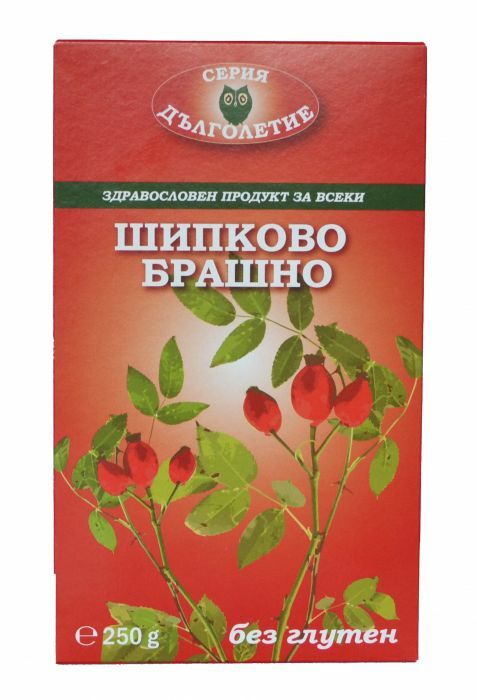 Rosehip tea is prepared by infusion of 1 tablespoon Rosehip flour 250ml boiling water. After 1 hour, strain and drink as a tea. Rosehip wine - 500 g Rosehip flour is poured lukewarm 4l, with pre-boiled water 1 kg sugar. To direct fermentation can add a piece of yeast dissolved in lukewarm water. The court must be able to breathe! Keeping warm is 15-20 days. You can drink more during the tumultuous fermentation and low-alcoholic vitamin drink. After complete fermentation strain and has interesting qualities of fruit wine. 100% natural whole grain oat flour. It contains protein, minerals and more.